Resources & Links | GeriatriCare Management, Inc. The Alzheimer’s Association is the largest national voluntary health organization dedicated to funding research into the causes, treatments, prevention and cure of Alzheimer’s disease and to providing support to the four million Americans with the disease, their families and caregivers. The American Cancer Society is the nationwide community-based voluntary health organization dedicated to eliminating cancer as a major health problem by preventing cancer, saving lives, and diminishing suffering from cancer, through research, education, advocacy, and service. Their web site contains valuable resources including prevention and risk factors, treatment methods, detection guidelines, and patient services that help cancer patients and their families. ASA’s members comprise the largest multidisciplinary national community of professionals working with and on behalf of older people. The membership includes representatives of the public and private sectors, service providers, researchers, educators, advocates, health, allied health, social service, managed care and long-term care and mental health professionals, students and the retired, policy makers and planners. For over 40 years, the American Society on Aging has been an active and effective resource for professionals in aging and aging-related fields who want to enhance their ability to promote the well-being of aging people and their families. The only complete database of all senior housing, assisted living, nursing homes, home health care services, and professional resources in Virginia (VA), Maryland (MD), New Jersey (NJ), Washington DC (DC), Pennsylvania (PA) and Delaware (DE). Welcome to the Home Care Association of America (formerly the National Private Duty Association or NPDA), where you can find a trusted and reliable home care provider in your area or learn more about private pay home care. Home care choices can be difficult. The Home Care Association of America (HCAOA) is here to help. Private duty home care agencies are companies that provide home care aides, companion care, homemaker services and may provide nursing services in the client’s home or place of residence. Members of the HCAOA employ trained caregivers and assume all responsibility for the payroll and all related taxes – this is never passed off to the customer. The Mid-Atlantic Aging Life Care Association (ALCA) (formerly the Mid-Atlantic Professional Geriatric Care Managers Inc.) is an organization of private practitioners whose goal is to advance the dignified social, psychological, and health care for older adults, others with chronic needs, and their families. Members conduct their practices in Delaware, Maryland, Virginia, West Virginia, Pennsylvania, and the District of Columbia. Stephanie Thomopoulos is the Immediate Past President of the Mid-Atlantic Chapter of the National Association of Professional Geriatric Care managers. A very good resource for caregiving families and professionals. NAC is a Bethesda based association of caregiving professional organizations (including GCM) that provides information, support, and national advocacy on behalf of caregivers. They have compiled many admirable reports, including providing an excellent guide to other web sites with information on caregiving. NAC’s site is an excellent source of information for professionals looking for access to primary information on national issues on caregiving. The Aging Life Care Association (ALCA), a nonprofit association with over 2,000 members, is governed by an 11-member Board of Directors who are elected to two-year terms and represent a diversity in practices and geographic locations.The ALCA office is located in Tucson, Arizona, where a staff manages day-to-day operations as well as conference and meeting planning.On these pages you can meet the association’s leadership as well as learn more about its governance, history, and standards. The National Association of Social Workers (NASW) is the largest organization of professional social workers in the world. NASW serves nearly 155,000 social workers in 55 chapters throughout the United States, Puerto Rico, the Virgin Islands, and abroad. NASW was formed in 1955 through a merger of seven predecessor social work organizations to carry out three responsibilities: strengthen and unify the profession; promote the development of social work practice; advance sound social policies. Promoting high standards of practice and protecting the consumer of services are major association principles. This web site shares–in a fast and cost-effective way–consumer-health information about many of the diseases or health problems on which NIH conducts or supports research. You can choose from this growing full-text collection of their most requested consumer-health publications. This free industry-wide internet portal is designed to connect you quickly and easily to the world of Senior Hospitality: providers of Senior-oriented housing, health and wellness resources, and other products and services. These communities and organizations are either Senior Hospitality Specialists (serving Seniors is their only focus) or Senior Hospitality Associates (serving Seniors is one of their specialties). A wonderful site for caregivers of Alzheimer’s patients. Beverly Murphy is a rehab counselor who retired to take care of her husband when he was diagnosed with Alzheimer’s. She has organized this site with love, good experience, and good attention to detail. This site has plenty of good advice for caregivers on the difficult issues (incontinence), on how to develop a supportive living environment, and lots of good words of emotional support. A heartwarming site to visit. How to Care’s goal is to provide you with practical, current information on a wide range of topics written by caregivers that offer insights and advice unavailable anywhere else. SeniorScape offers a site where care managers, elder law attorneys, guardians and other elder care professionals, facilities and providers can meet the public in the most comprehensive of elder care resources. SeniorScape (1) delivers free and vital elder care resources to the public and (2) serves as an interactive forum for elder care professionals and service providers. Alzinfo.org is a tool of the Fisher Center for Alzheimer’s Research Foundation to educate people about this devastating disease. The mission of the website is to educate, engage and create an online community with 24 hours a day, 7 days a week access to information and support via online chats, message boards and the most comprehensive resource databases available. AoA’s “Elder Page” site contains many resources for the elderly that can be useful for attorneys as well. There is a large nationwide searchable directory to 230 national and local agencies, health associations, and organizations. There is a large compilation of general and statistical materials on-line. Providing vital services and free resources for patients and families affected by mesothelioma. It’s not uncommon to develop an addiction later in life, but the health effects of substance abuse for those over the age of 65 can be even more dangerous than in younger users. Caregiving.com provides insights, information, and inspirations to persons who care for an aging relative. The site explains the six stages family caregivers travel through, guiding them to the resources and answers needed to successfully complete each stage. The web site of Today’s Caregiver Magazine. This site has general information on caregiving and caregivers. There are several different features from the current magazine on topics in caregiving and an archive of past articles. An established and rich source of information on eldercare (and childcare). Customized caregiver information on a wide range of issues. Includes a good directory of facilities, legal topics, and advice for the consumer on how to find care. Frequently updated with interesting articles. ProAging.com features innovative tools to better serve seniors, caregivers, and their families. An in depth site covering care planning and a private network of facilities and care managers. The directories provide a level of quality screening of the referrals. Includes some assistance with assessment and forming a care plan. Senior Living Alternatives is a Chicago-based housing alternative resource. Find nursing home, assisted living, home care agencies and retirement homes listed by city. A national online guide to senior housing and care options throughout the United States. Users can view color photos, floor plans, pricing, amenities, and even take 360 degree virtual tours. A national, comprehensive guide for older adults and caregivers. 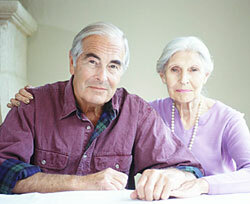 Information on this site identifies your local options for senior living facilities – including Assisted Living, Residential Care, Retirement Communities, Skilled Nursing, Alzheimer, Hospice and Adult Day Care facilities; local options for senior insurance, healthcare discount cards (coming soon), other frequently needed health and professional services such as legal and financial, mental health, home health, and geriatric care management.